What Is Highland Park Whisky Worth? If you were lucky enough to purchase bottles of Highland Park whisky over 10 years ago you could be in for a windfall. Prices for rare whisky, especially from top-tier distillers such as Highland Park, have grown exponentially. The best prices are not just reserved for ultra rare bottlings or very old distillations. Even ‘standard’ bottles produced prior to the 1980’s are very commercial. 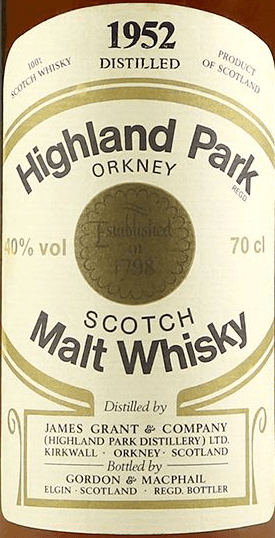 This page is intended as a starting point highlighting a few key features about your Highland Park and how to go about getting it valued, and eventually sold. With prices at record levels this makes the ideal time to sell your Highland Park whisky and we are here to help and ensure you get the best deal. We can advise the value of your Highland Park whisky and help you find the best place to sell it. What is Your Bottle of Highland Park Worth? Whisky does not continue to age when it is in the bottle. Holding onto a bottle for a long time does not mean to say you will increase its value. However, an old bottle of ‘standard’ Highland Park single malt whisky can be VERY collectable as whisky collectors often look for changes in labels. Vintages are different to the age of the whisky and are a declaration of the specific year the whisky was distilled. It is on of the most important factors that can impact the price of your Highland Park. A vintage is expressed as a date on the bottle from the year the whisky was produced. Another major factor that impacts the price of a bottle of Highland Park is the age of the whisky. This is expressed on the label and can vary from 5 to over 30 years old. This age refers to the age the whisky when it was bottled and whisky does not continue to age when it is in the bottle. The second type of limited edition are those that were made for a specific event, such as the 1977 21 Year Old, Bicentenary Bottling. The label on your bottle of Highland Park is very important and if it is damaged in any way then this will have a negative impact on the value. However, it will not be as damaging as having a level lower than the neck. If you are fortunate enough to have the original packaging that your bottle was supplied with, such as a presentation case or card box, then this will have a positive impact on the value of your bottle of Highland Park.